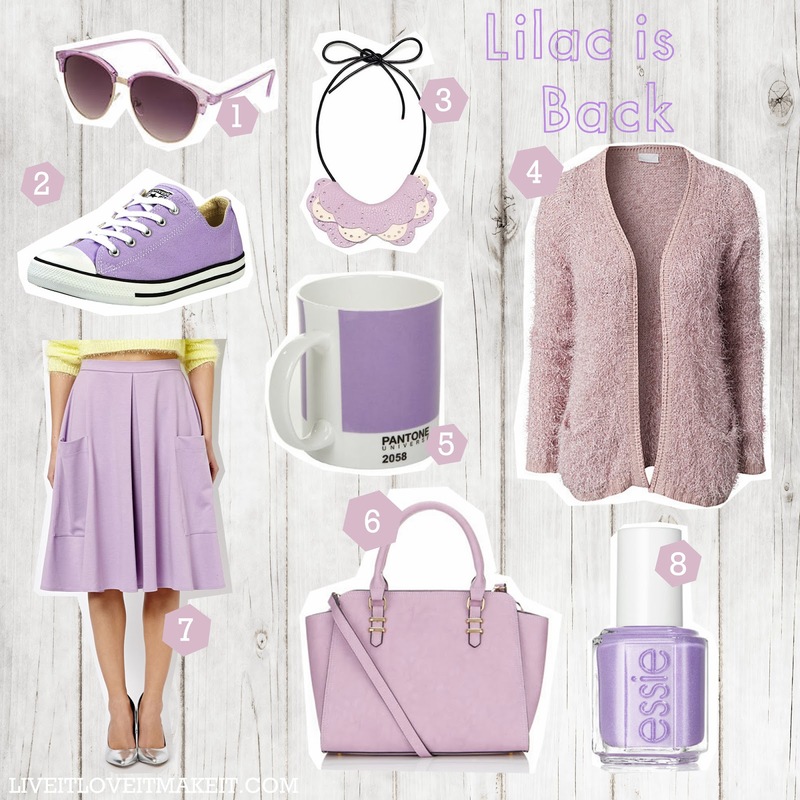 1.Sunglasses by Topshop, 2.Converse trainers, 3.Anna Lou of London Necklace, 4.Fluffy cardigan by Vila, 5.Lilac Pantone Mug, 6.Lilac bag by Accessorize, 7.Midi skirt by Asos, 8.Full Steam Ahead Essie polish. It is no surprise if you have read this blog for a while that I love anything purple. So when the Pantone colour of the year was announced as 'Radiant Orchid', I was a happy bunny. But today I want to show off another shade of purple that is making it's (in my opinion long awaited) comeback this year... Lilac. Forget the memories of 90's shiny satin bridesmaids dresses and Granny's lacy lavender bags, Lilac has had a slick makeover for it's return. Still soft and sugary but this time with a luxury twist. Matt textures, paired with strong metallics and neons, expect to see this sugar almond tone making it's way to the top of the pastel pile for spring. What's your favourite colour for this spring going to be? I need that cardigan and bag in my life! Ha,ha Lauren, any excuse hey!